What happens when you combine a creative, adventurous spirit with an unbridled passion for wines of quality and character? For lovers of fine wines from France's Rhône Valley, the answer is simple: Jean-Luc Colombo. A devotee of the Syrah grape, Jean-Luc was convinced that the northern Rhône appellation of Cornas offered enormous potential for producing stellar quality Syrah. Following his conviction, he opened his own wine laboratory in Cornas and developed a thriving reputation as a wine consultant, breathing new life into the then-obscure wines of Cornas. 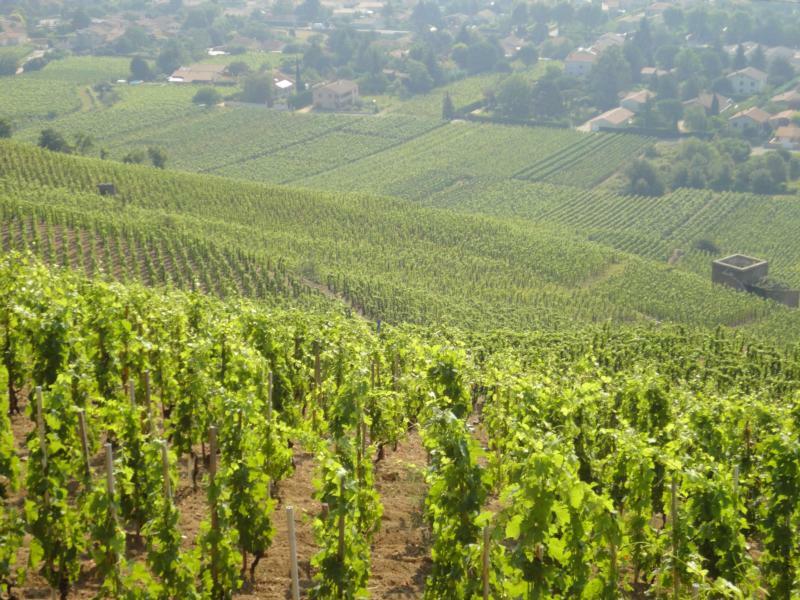 Shortly after, Colombo began purchasing his own vineyards first in Cornas then throughout the Rhône Valley and Languedoc - leading to the establishment in 1994 of Vins Jean-Luc Colombo. In 2003, Colombo enhanced his ventures by returning to his roots near Marseille and purchasing vineyards to produce the now highly-successful Cape Bleue Rosé. In addition to running Vins Jean-Luc Colombo, Colombo continues his consulting practice, advising approximately 100 producers throughout the Rhône Valley, Switzerland and southern France. His wife, Anne, who is closely involved in the production of the Cornas wines, manages the consulting practice. Each Jean-Luc Colombo wine is highly personalized, sourced from Colombo's own vineyards and from carefully selected domains under his direct consultation. A unique, water color painting graces each label and illustrates both the name and the story behind each wine. With wines as vibrant and memorable as the family who makes them, Vins Jean-Luc Colombo has made a major impact on the evolution of modern French winemaking. Wine Spectator 89"Racy and pure, with violet, mineral, iron and black cherry fruit that races along the fine-grained structure. Nicely done. Drink now through 2009. 3,800 cases made.